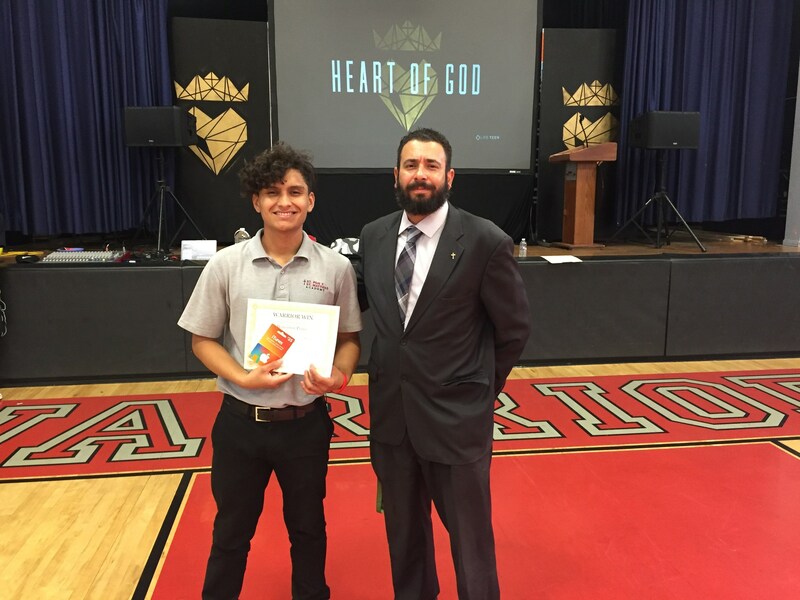 The St. Pius X – St. Matthias Academy Warrior Win program is a positive reinforcement initiative designed to facilitate the incorporation of PMA’s Integral Student Outcomes (ISO’s) into the student’s daily lives and to offer students the ability to demonstrate said incorporation and be rewarded for it. Students may be recognized and awarded a Warrior Win by a faculty or staff member for the incorporation of each individual ISO throughout the school year. Students awarded a Win for living out one of the school ISO’s on a regular basis will receive a certificate and be eligible for selection of a monthly prize give away or incentive. Students who consistently demonstrate adherence to the schools ISO’s and are awarded each of the 5 Integral student outcomes in one school year will be recognized as a First Degree Warrior. Students who are consistently demonstrate and are awarded each of the 5 ISO’s during a single school year for a second year will be recognized as a Second Degree Warrior and will receive all the status as such. Students who consistently demonstrate adherence to the school ISO’s and are awarded Win’s for each of the schools 5 ISO’s for a third year will obtain the status of Third Degree Warrior and will be recognized as such. 1st Degree: Warrior Wins in each of the five Integral Student Outcomes in one or more school year(s). 2nd Degree Warrior: Warrior Wins in each of the five Integral Student Outcomes for a second school year. 3rd Degree Warrior: Warrior Wins in each of the five Integral Student Outcomes for a third school year. Third Degree Warriors may be eligible to issue Warrior Wins to their peers upon recommendation by a teacher and approval by Administration. 3rd Degree Warriors will be recognized with a special stole at graduation.